Zhao Wenjing may seem like just a little boy but you would be surprised at how he took care of his eleven year old sister, Wenhui, after she got an injury while the two of them were playing. They were on the bed that time when Wenhui fell from their bed and because of that fall, her head hit the floor really hard and left her crying in pain and almost unable to move. She was then rushed in the hospital. She was in critical condition and had to be confined. She was in deep pain and was almost unbearable for a little girl like her. 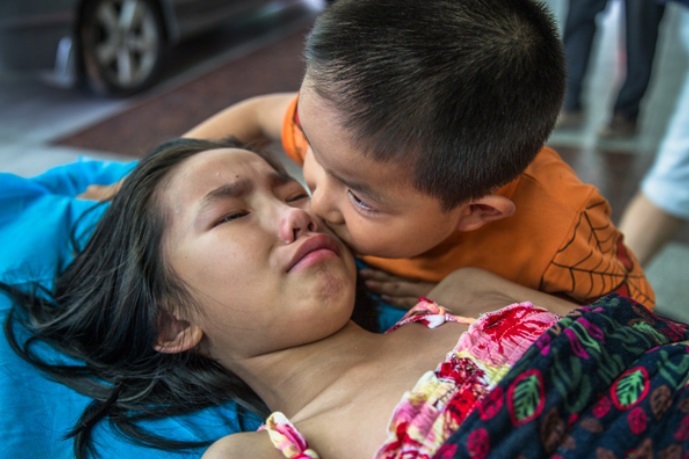 Seeing her Sister in pain, Wenjing would gently wipe her tears, kissed and assured her sister that even if their parents don’t care for them, he will take care of her. He told her to be strong so he will buy a candy for her. The two kids are leaving with a relative after their parents left them. They have a hard life and barely ever experienced having a toy. At such a young age, Wenjing was always protective of her sister and even when bigger kids would bully her, he was always there to protect her. The injury of her sister was critical because there had been a tear in her right kidney. 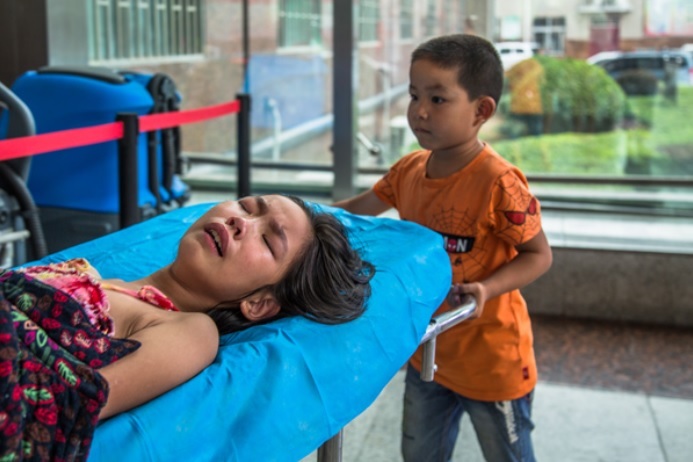 She had to be operated at once but they’ve got no money because they are extremely poor. 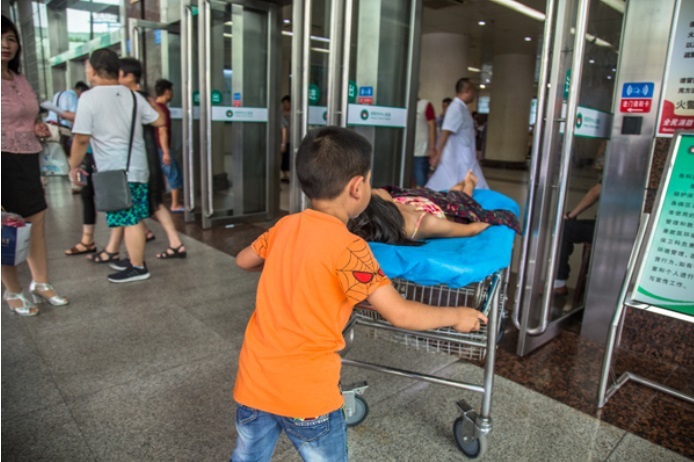 But it seems like it was their lucky day because the photos showing Wenjing taking care of his sister went viral and many were touched when they saw and learned about the life of the two kids that donations came pouring it. 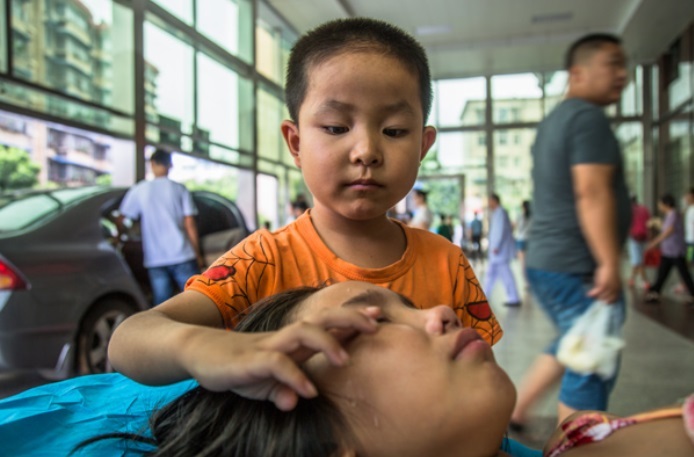 Because of the kind-hearted souls, Wenhui was finally operated on. These siblings showed to the world that despite of the hardships they have in life, it didn’t affect the love they have for each other.